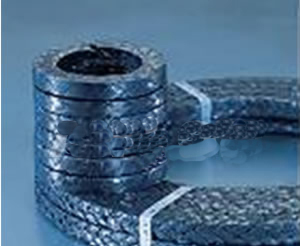 Quick Overview: Graphite packing reinforced with wire is braided from expanded graphite yarns, reinforced with metal wire, normally reinforced with inconel wire. It retains all the inherent benefits of flexible graphite packing. The wire reinforcement provides greater mechanical strength, used for high pressure and temperatures. Graphite packing reinforced with wire is braided from expanded graphite yarns, reinforced with metal wire, normally reinforced with inconel wire. It retains all the inherent benefits of SUNWELL P400 flexible graphite packing. The wire reinforcement provides greater mechanical strength, used for high pressure and temperatures.